The cost of living in Cambodia is very affordable with everything from rent to groceries, bars and restaurants providing excellent value for money. This means that even those with limited incomes can enjoy a significant lifestyle upgrade. A couple might spend as little as $1,900 a month in the main cities and towns of Cambodia. 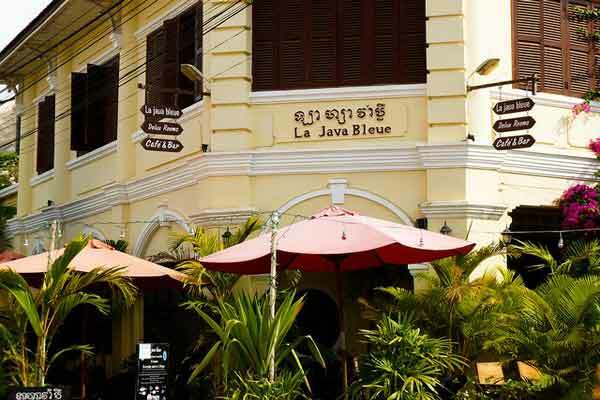 In the capital city of Phnom Penh, it is possible to rent a centrally located apartment and enjoy daily visits to restaurants, buy groceries at Western-style supermarkets and still have enough money left for a nightly drink at the city’s expat pubs and bars. When it comes to property, it’s easy to find a well-appointed apartment for under $500 a month while utilities are equally affordable at around $100 for electricity, water and Pay TV. The cost for a cleaner to tidy up your house once a week will set you back a very reasonable $40 or $50 a month. Expect to pay as little as $10 to your local mobile operator for unlimited calls, messages and internet. Con: You May Never Want to Leave! Of course, once you’ve upgraded your lifestyle you will very quickly get used to enjoying all the little luxuries and creature comforts at such reasonable prices. This means that the idea of leaving can be a bit of a turnoff after you realise just how much more expensive the costs are for pretty much everything back home. 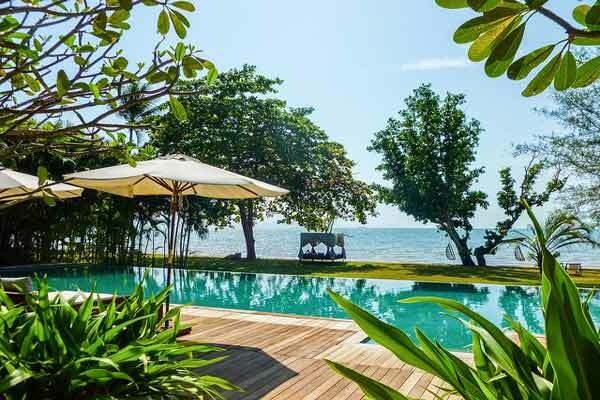 There is so much to keep you busy as an expat in Cambodia, including a large number of bars, pubs, clubs and hotels with special promotions, happy hours, quizzes, movie nights and even pool parties. 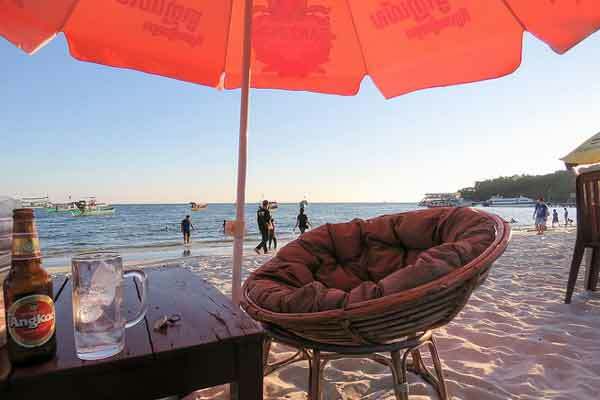 The wide range of opportunities for an affordable sundowner make expat life very attractive, with many establishments selling fresh draft beer for $1 a schooner. Spirits and cocktails are available at equally reasonable prices making happy hours very much a must-do for those who like to get out and about. If you prefer to have people round for a party at home, then decent wines imported from Europe can be purchased for as little as $10 a bottle while a slab of 24 beers costs about $15 for a mainstream brand or $25 for a premium brand. With so much affordable booze it can be tempting to spend too much time socialising with a drink in hand. So, you really do need to be able to balance your social activities, in order to maintain a healthy lifestyle. You might also consider taking part in free meditation sessions or heading to a variety of regular events at different local and international cultural centres. 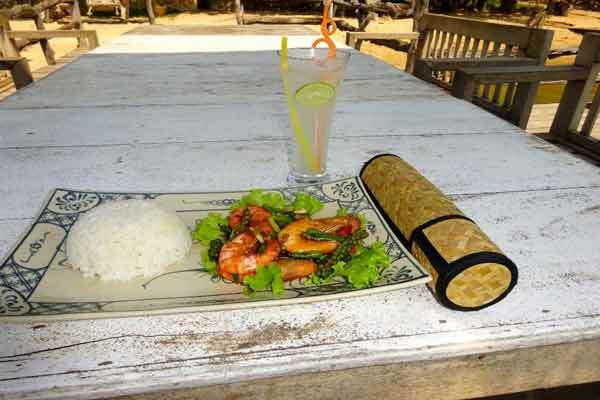 For many expats in Cambodia dining out on a daily basis proves to be far more affordable than spending time and effort preparing meals at home. Whether it be breakfast, lunch or dinner, there are enticingly priced options to consider instead. Enjoy a feast of grilled pork with steamed rice and pickled vegetables at a local restaurant for a breakfast costing less than $4 or grab a sweet and treacly Cambodian style coffee for about $1. For lunch and dinner the world is your oyster at one of the countless expat restaurants run by a United Nations of talented chefs. Italian pizzerias, Aussie burger bars, French patisseries, American steakhouses, Chinese noodle shops…you name it and Cambodia has got it. And while the quality of the food available is quite high, the prices remain surprisingly low with $5 to $10 covering the cost of a large and tasty meal at many an excellent establishment. Naturally, it can be easy to overdo things, especially if you tend to enjoy your food a bit too much. But if this is the case then all you have to do is sign-up at one of the country’s inexpensively priced gyms and health centres. Membership fees at a nicely air-conditioned gym in Phnom Penh with modern equipment, saunas, and even a swimming pool start from around $35 a month. 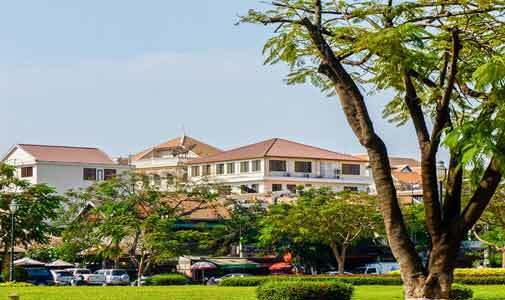 Expats in Cambodia have long appreciated the top-notch treatment available at the country’s leading dental clinics and hospitals. Phnom Penh is currently the epicentre of Cambodia’s dental tourism industry with the largest establishments regularly upgrading their facilities and services to meet the growing demand from foreign patients. Providing both the latest state-of-the-art treatments and large retinues of surgeons and technicians with overseas qualifications these dental clinics have thrived by offering up to 70% cost savings compared to the same treatments available in Australia. Whether you require a simple clean and polish or the most advanced cosmetic surgery Phnom Penh has become well-known for its price competitive yet highly professional dental services. No matter how big the savings are the fact remains that a root canal is still about as much fun as it sounds…even if it costs you half the price for a higher standard of treatment than you could normally afford! Cambodia has recently launched a dedicated Retirement Visa (known as the ER visa) that is now available upon arrival at the airport. The main criteria you need to satisfy are being aged 55 years or older and holding a valid passport (preferably from a developed nation). Immigration Officials will usually issue a one-month ER visa which can then be extended through a travel agent or visa broker for up to 12 months with multiple-entry at a cost of only $385. Although the ER visa has proved to be a popular and competitive option compared to visa options in other Asian countries it does mean you cannot seek employment in Cambodia. For those wishing to work or run a local business the Business Visa is still the most appropriate visa to get. But with such low living costs and so many options for fun at hand…who’s got time for work?